Northeastern Ohio is full of beautiful, older homes. A short drive down Cleveland’s legendary “Millionaire’s Row” alone reveals the grandiose architecture that defined a bygone era in the area’s history. Some of those huge homes are now repurposed as multi- family units, which can really be a strain on the antiquated electrical configurations that are often still in place. Needless to say, there are some electrical issues that might present themselves as you get deeper into a construction or renovation project. When these homes were built centuries ago there simply wasn’t a need to have that much power running through the home. It might be necessary to increase the capacity of the wiring in the home in order to accommodate the needs of today’s electronics. Electrical wiring doesn’t last forever. Northeast Ohio’s weather can wreak havoc on the infrastructure of a home. Inclement weather also means that critters are invading the walls to find warmth, and while there they might be snacking on your wires. 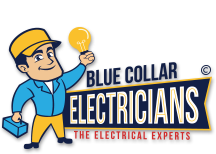 Unfortunately, not everyone reaches out to a licensed and bonded electrical contractor like Blue Collar Electricians to handle their wiring needs. When you peel back the walls and peak at the wiring in the home, you are likely to find all sorts of short cuts. Let us figure out how to fix it for you! You’ve probably been in some older homes that have two-pronged outlets rather than three-pronged. With today’s more powerful electronics and gadgets, especially tools and appliances, you really need to have proper grounding in place to be functional. Old homes can be spooky, especially if the lights are going on and off or dimming from one room to the next. But in the world of electricity, that flickering can be indicative of a larger issue. Knob and Tube Wiring is an old technique that was effective at keeping electrical related fires to a minimum, but it was really hard on the wear and tear of the wires themselves. At this point, if you find out that your home has that type of system in the walls, it’s time to upgrade. 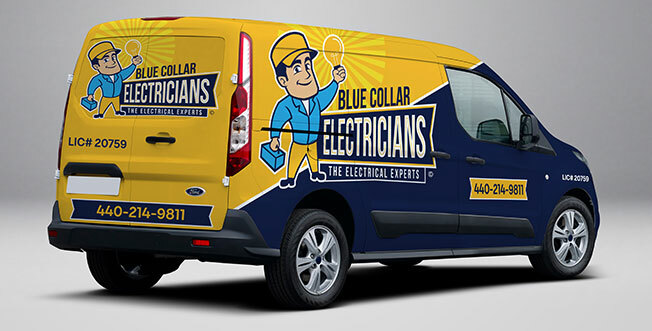 Blue Collar Electricians is here to take care of all of your electrical contracting needs. To schedule an evaluation or home inspection, contact our team!